When: Saturday, December 15th @ 9:00am. 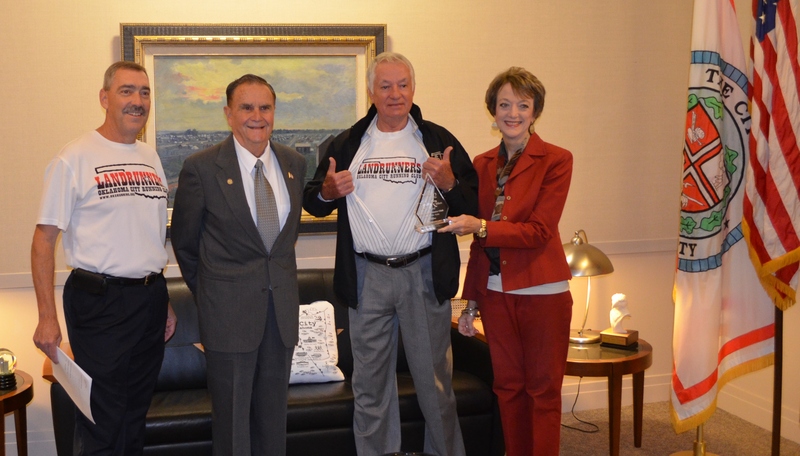 The OKC Landrunners have won the 2012 ADOPT-A-PARK award for Ward 1 and for the ENTIRE METRO AREA for doing an excellent job of keeping Lake Hefner/Bluff Creek trails clean of litter for all citizens to enjoy. This award is sponsored by OKC Beautiful and OKC Parks Department.